Upscale and unusual is how the developer of the Royal Poinciana Plaza describes the new setup. 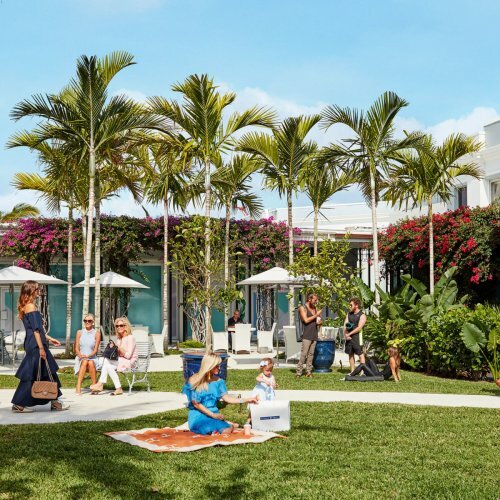 WHEN THE ROYAL Poinciana Plaza in Palm Beach was taken over three years ago, “people said I should do a mini-Bal Harbour Shops,” recalled Samantha David, chief operating officer of WS Development, which effectively owns the property with a 99-year lease on it. David is describing her unorthodox vision for the redevelopment of the 180,000-square-foot landmarked, open-air setting. It’s an effort to bring unique and innovative shopping and dining experiences, amenities and activities to an historic plaza within one of America’s wealthiest counties known for its traditional style and way of life. of Sag Harbor in the Hamptons, with its concentration of local entrepreneurs and absence of national chains. • Rani Arabella, which specializes in cashmere, has a lifestyle collection handcrafted in Italy, and a limited distribution. and first in Florida. Honor Bar will serve sharable snacks, sandwiches, cocktails, wine and beer. ultralight, em-friendly linens for men, women and children handmade in Italy. • Assouline for books, special editions and gifts; it ‘s the company’s second store in the U.S.
Hills and East Hampton locations. • Bognar & Piccolini children’s fashion for newborns, boys and girls up to age six, crafted by artisans in the Republic of Croatia. • Serenella, for European and American couture, ready-to-wear and accessories, with stores only in Boston and Nantucket currently. being programmed as a “whole ecosystem of what makes people happy,” said David. with Worth Avenue, the most famous shopping venue in Palm Bead1 County, for people’s time and dollars. It’s about a seven-minute drive away and like other high-end retail venues, such as Madison Avenue and SoHo, Worth Avenue has undergone some reduction in traffic and rise in vacancies. Palais Royal in Paris. 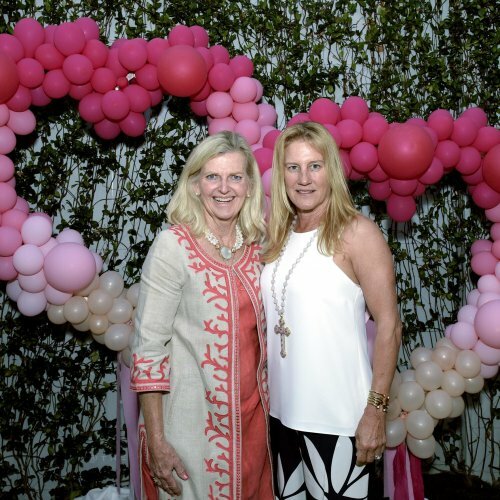 It became the first retail destination on Palm Beach Island. “There is an incredible amount of nostalgia for this project,” David said. “It has an unbelievable rich history of people loving it. That’s what motivated me to buy it, to bring it back to what it once was.” ln a sense, it devolved into a glorified office park with only a few tenants of note, such as me Palm Beach Grill, Haute Yoga and Toojay’s. “Everything else was office,” observed David. “I am bringing it back to how beautiful it was.” David worked with Smith and Moore Architects Inc. and Nievera Williams Design landscape architects, born based in Florida, to restore me plaza. Worth Avenue to The Royal Poinciana Plaza, where it, will occupy 8,000 square feet over two levels and open in November 2017.
secret gardens” as well as original terrazzo marble floors, intricate metal details and stonework. Three years ago, WS Development paid Sterling Palm Beach $22.5 million for control of its leasehold interest in The Royal Poinciana Plaza, situated at Coconut Row and Royal Poinciana Way. working on. I’ve asked for help for anything I have done.” The Perrys have a home on Palm Beach Island. WS Development is also working on larger projects, including redeveloping 20 dry blocks by the Boston Seaport, with offices, hotel and retail space, and other projects in Tampa, Fla. and Chestnut Hill, Mass. In certain projects she’s tackling, “extraordinarily wealthy places where people are starved for an experience they want to be part of.” She said she preferred to discuss these projects later. has complete control of The Royal Poinciana Plaza due to its 99-year lease, in essence like being me owner. “We’re bringing a collection of stores and restaurants to the Royal Poinciana Plaza that make people smile,” David said.